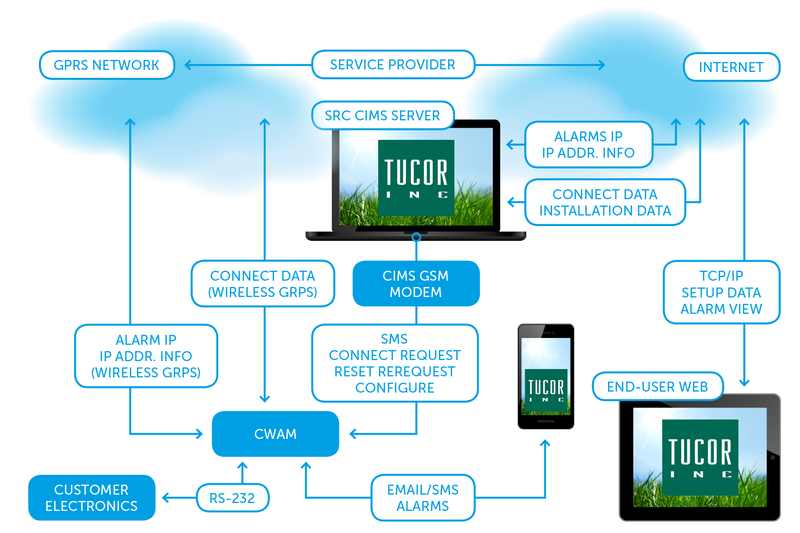 2wire| Tucor Smart Irrigation from the Ground up. Modern 2-Wire control technology is revolutionizing the irrigation industry. With a conventionally wired irrigation control system, you are forced to run dedicated (and increasingly expensive) copper wire directly from the controller to every single valve. With a 2-Wire control system, you use just a single, small-gauge, two-wire path from the controller to “daisy chain” all the valves together on a single wire path, using dramatically less wire. 2-Wire is quick and easy to install compared to a conventional control system and can be substantially cheaper as well. Ease of installation. 2-Wire control systems require that you only lay one wire run per system as opposed to one wire run per valve with a conventionally wired control system. 2-Wire control allows you to phase or expand an existing irrigation system at your projects pace because you don’t have to leave wire bundles or re-wire your system when making expansions or modifications. Simply connect in a new 2-Wire cable anywhere on the existing 2-Wire path to extend the system into new areas. You can even move your controller from one location to another over time if you need to. It just needs to touch the 2-Wire path at some point. Copper wire is increasingly expensive, and a 2-Wire system uses much less of it; in fact, you can use as much as 80 percent less copper wire by installing a 2-Wire system. In addition, the installation labor required to run a single 2-Wire run vs. multiple wire runs is a substantial cost saving. The Tucor TWC and TWI 2-Wire controllers can expand up to 200 stations on one controller, potentially eliminating the need for up to four conventional 48 station controllers. Reducing controller locations can, in turn, reduce the need for multiple electric and water meter connections, again saving substantial costs. Using a 2-Wire path also reduces the costs associated with having to sleeve large wire bundles under street crossings etc., on large commercial or public installations. Tucor 2-Wire systems are highly reliable. Most of the original Tucor systems installed over twenty years ago are still up and running! Tucor 2-Wire systems can turn on valves up to ten miles away across the 2-Wire path. Granted that’s not often needed, but when running control over a more typical two-mile run, the system doesn’t even break a sweat. Should some new trenching or some other event cut the wire path, you don’t have to sort, tone and splice a multitude of wires. Simply reconnect the two 2-Wire cores, and you’re back in business. Troubleshooting 2-Wire is easy as well. When a 2-Wire cable gets cut everything up to that point will work enabling you to very quickly identify the break and fix it. The Tucor TWC-NV, TWI, and RKD 2-Wire Controllers can run up to ten valves at the same time if you have the hydraulic capacity to do so. These controllers can dramatically reduce your water window requirements where you have low precipitation nozzles installed, especially during summer when valve run times typically increase based on higher evapotranspiration rates.